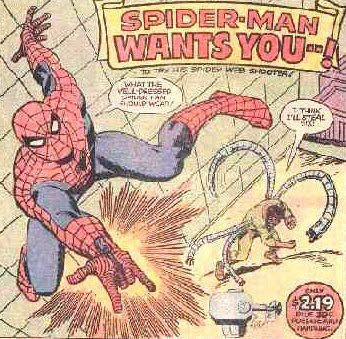 The Dork Review: Spider-Man's web-shooter how cool are they? 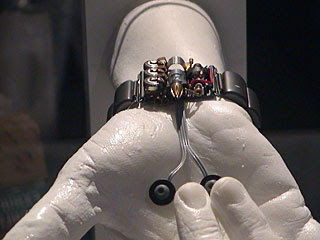 Web-Shooters (clipped from the Marvel site): Twin hinged wrist bracelets, double-tap pressure activated trigger, external cartridges, three options for nozzle opening, low fluid level warning indicator. 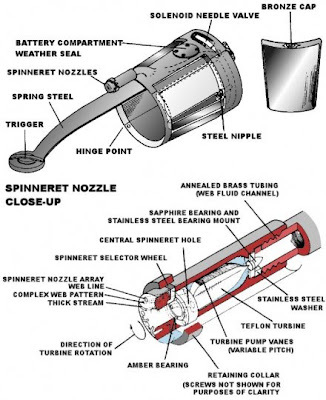 Note: click on the title (link) to read more about the Web-Shooters. 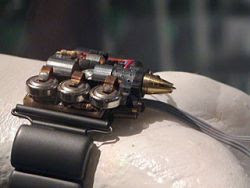 Fun Fact: At E3 in 2001, Activision displayed these prop replicas of Spider-Man's web shooters at their booth. 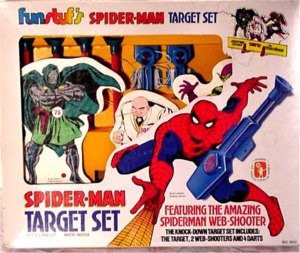 Spider-Man Web-Shooter toy from the 1970's: Man oh man, I wanted one of these so bad I tried to make one out of a dental floss case and a spring. 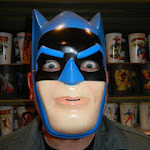 But I never got one. 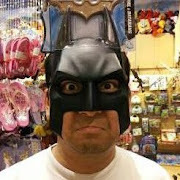 Now, these go for hundreds of dollars on Ebay. 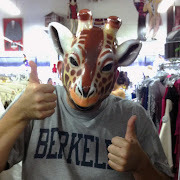 Fun Fact (clipped from Wikipedia): To accomplish this his hands are often in a distinctive hand position when he fires them (resembling the sign for "I love you" in American Sign Language, reverting someone giving you the "Evil Eye" in Italian superstition or the horned hand heavy-metal gesture). 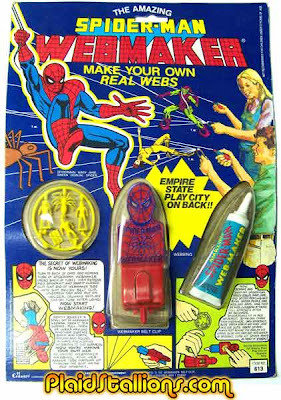 Spider-Man Webmaker toy from the 1970's: I use to cover the entrance to my sister's room with this stuff...oh the fun of being an older brother. 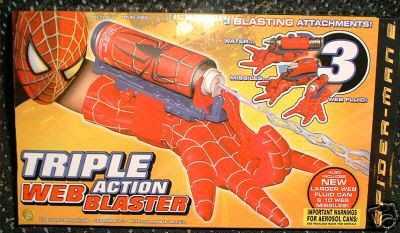 Spider-Man Web-Shooter toy from Spider-Man 2: I wish my daughter was old enough to buy her one of these so she could go all...Spider-Girl! 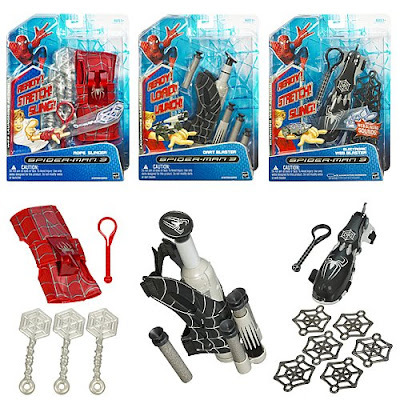 Spider-Man Web-Shooter toy from Spider-Man , the animted series. 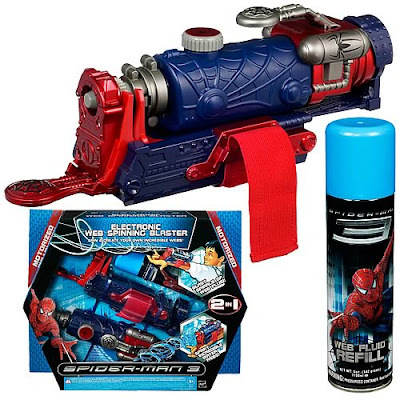 Spider-Man Web-Shooter toy from Spider-Man 3 Fun Fact (clipped from Wikipedia): Spider-Man once gave the web-shooters to his wife Mary Jane as a Valentine's Day present, after having them changed into bracelets, and weakening the pressure required, so that she can use the bracelets for self-defense.